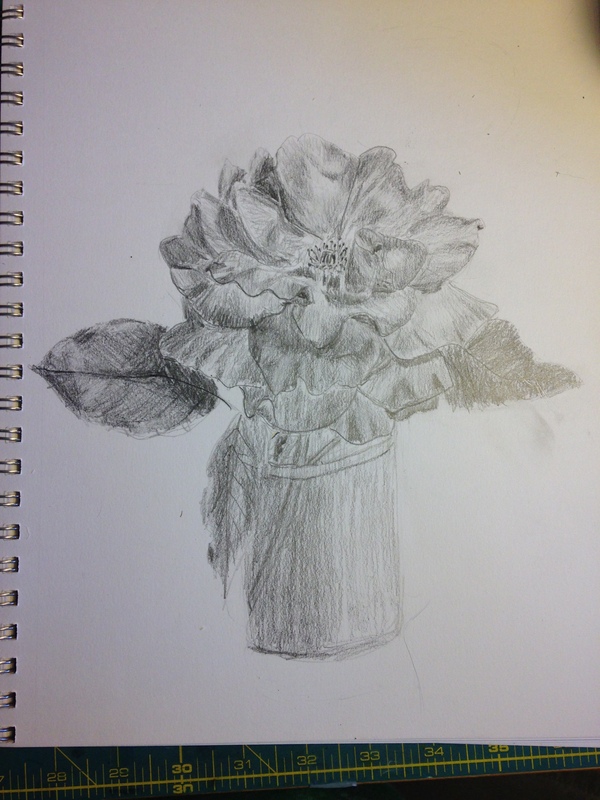 I sketched two more roses over the weekend, and am pleased to say that my drawing skills are improving rapidly. I’ve developed an eye for light and shadows, and am starting to understand how light reflects off planes and curves. While it will be a long time before I can claim mastery, I’m doing pretty well for three weeks of study. 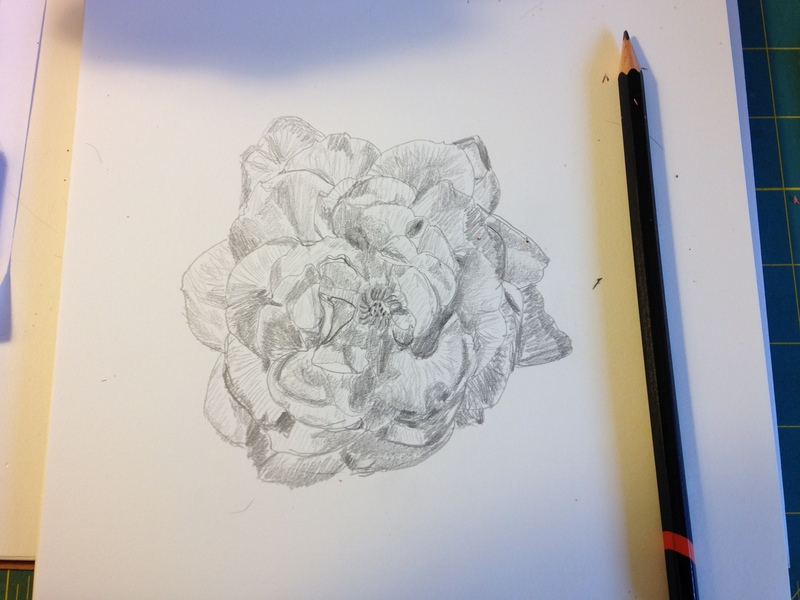 In sketching rose #1, I was copying exactly what I saw, without trying to make visual sense of it. 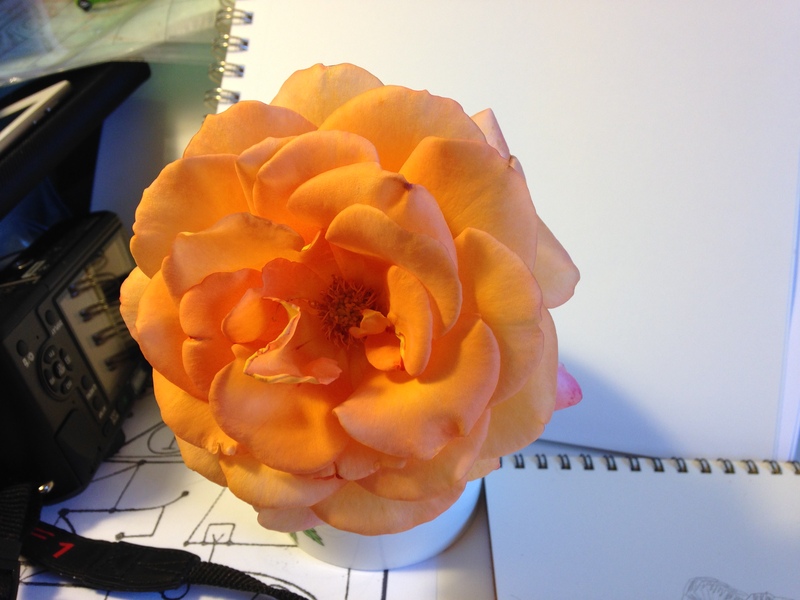 As a result, the resemblance to the actual rose is a bit shaky, and the shadows/highlights don’t parse all that well. In rose #2, I was starting to get better with light and shadow, and the outlines of the petals look more or less like the actual rose. Hooray! But the value scheme was badly off – many areas came out too sharply contrasted/too dark. (I later went in with an eraser and lightened up some of the darker areas.) More to learn! 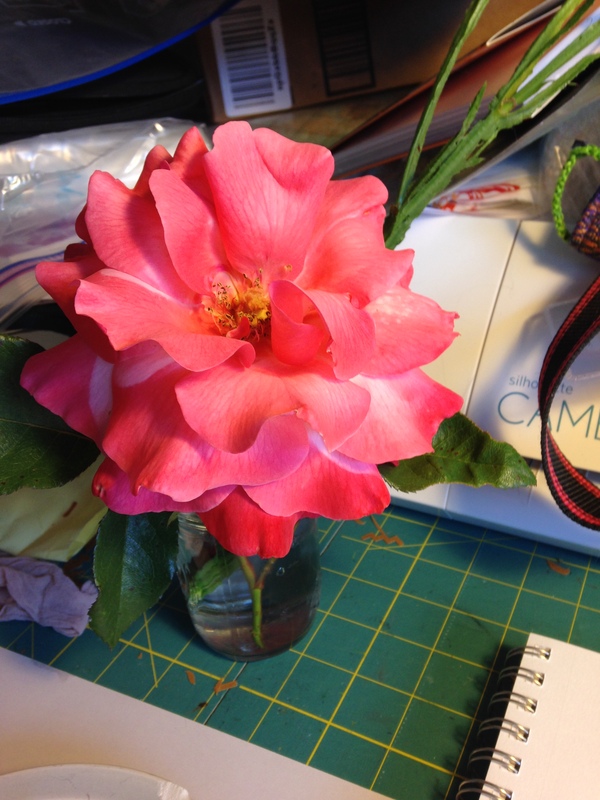 I had a bit of a challenge with this rose, because it continued opening as I was drawing! So I couldn’t stay entirely with my original sketch, and I couldn’t keep changing my drawing to accommodate the opening rose. So the result is a blend, with some guesstimating about light and shadows towards the end (the outside petals). However, I’m very pleased with the result. 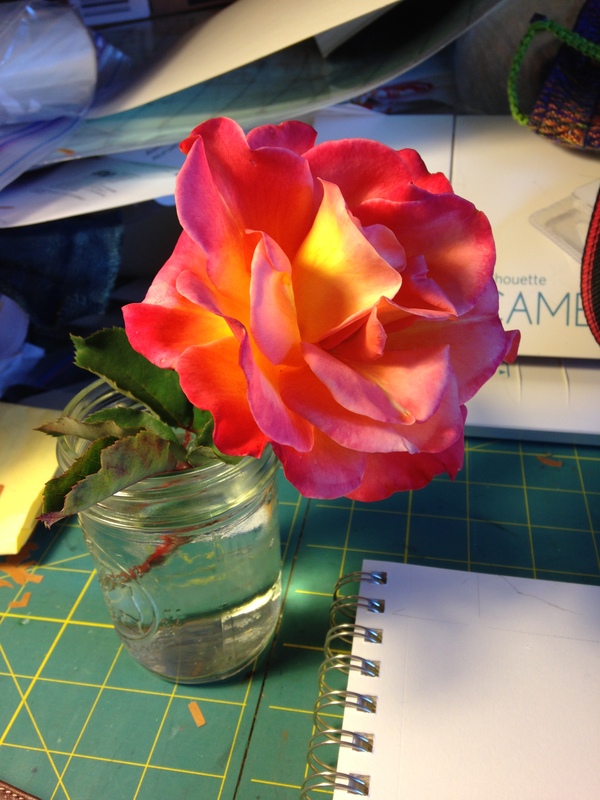 What made rose #3 different was my studies of light and shadow on geometric solids. It gave me a rudimentary understanding of light, shadow, and reflected light, which allowed me to “think through” the lighting, and make sure each petal made visual sense. 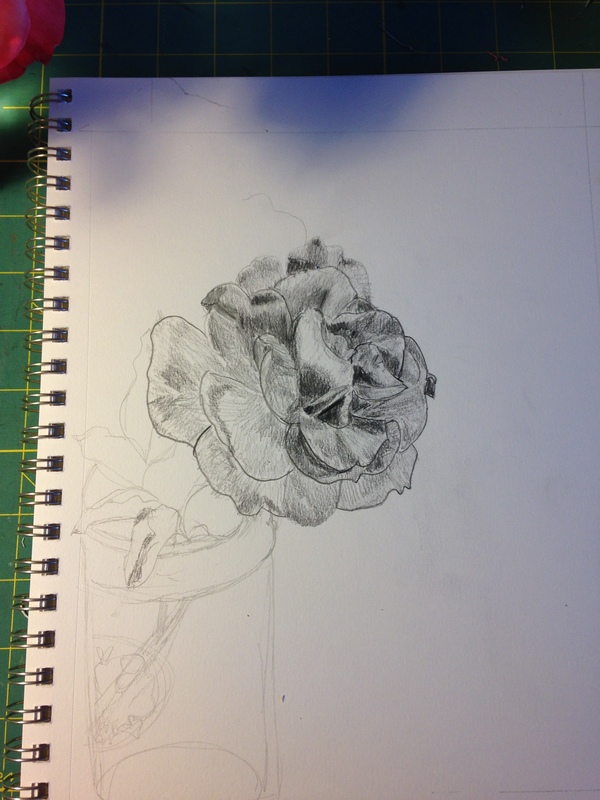 As a result, the third rose sketch looks a lot more realistic than either of the first two. Still quite a ways to go, but I’m pleased with my progress so far. I’ve now finished most of the pencil exercises in Drawing for the Complete and Utter Beginner (Claire Watson Garcia). As I’m not primarily interested in physical media, I’m not going to pursue the charcoal, wash, or contÃ© crayon exercises. Instead, I’m going to continue practicing drawing on random objects. I may also look and see if there are any useful exercises in Drawing on the Right Side of the Brain (Betty Edwards) – while the book puts my teeth on edge with its constant harping about left vs. right brain, I can’t deny that many people have learned to draw through doing its exercises. So I will look into that as well. I’m finding that I’m really enjoying the process of drawing. Which is good – I’ll be doing a lot more of it over the next three months! And I’m happy to be making real progress, not just chasing my own tail. Speaking of which…here is a great video of Tigress spinning around and around, under the intoxicating influence of a laser pointer. Enjoy! I think you are doing very well. I’m enjoying your descriptions of your lessons an what you learn from each phase.